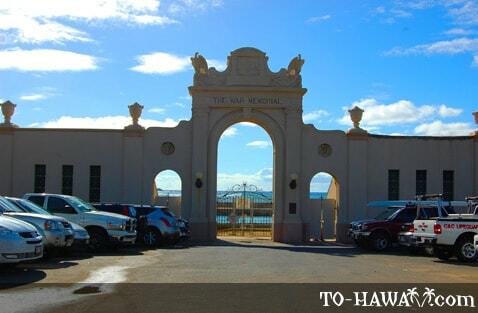 Located across from Kapiolani Park, next to Kaimana Beach on the island of Oahu, the War Memorial Natatorium (view panorama) was completed in 1927 as a memorial to the 102 soldiers from Hawaii who were killed in World War I. 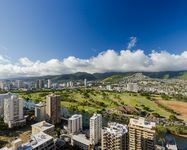 Built in Hawaiian beaux arts architecture, the memorial’s centerpiece is the 20-foot tall entrance arch featuring four stone eagles. City planners decided during the late 1920s that they wanted a “living memorial” and that an Olympic-sized swimming pool would be fitting. 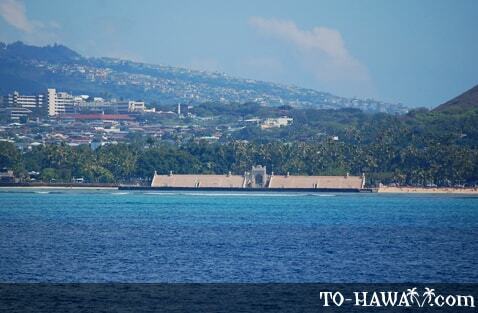 During that time, all of Hawaii’s competitive swimming events took place in the open waters of Honolulu Harbor. So an enclosed pool was considered to be a worthy public facility. 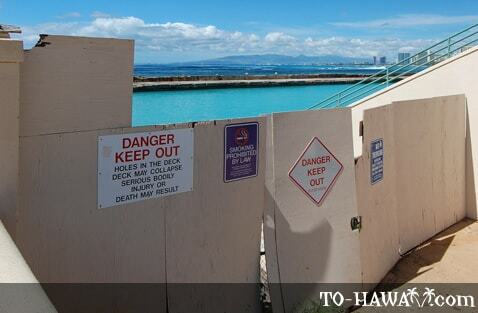 Inside the memorial, a 100 meter by 40 meter saltwater swimming pool was built that was used as a recreational gathering spot by local residents as well as a training pool by Olympian swimmers Duke Kahanamoku, Buster Crabbe and Johnny Weissmuller. In 1979, the natatorium was closed for safety reasons. In the years after, the site was neglected until in 2000, its exterior façade was renovated. The archway of the natatorium can be viewed, but the inside area where the pool is located remains closed. 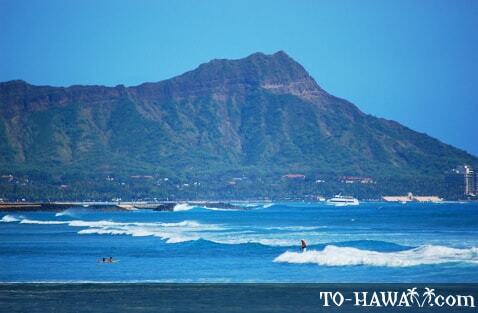 Directions: The War Memorial Natatorium is within walking distance of central Waikiki. 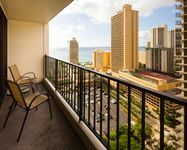 Walk down Kalakaua Ave. toward the Honolulu Zoo, on the eastern end of Waikiki. 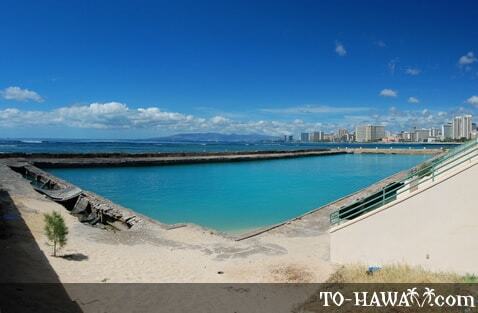 After Kapahulu Ave. walk along the right sidewalk and the War Memorial Natatorium will be on the right. We had the opportunity to visit this once Magnificat tribute to those lost in the Great War ( WW1). It is a shame that what was once such a beautiful structure with a still relevant purpose has been left derelict. As the initial intent of this structure was to actively celebrate the lives of those lost in WW1 with this outdoor swimming area, it is saddening to note the no government or military body thinks it important to restore this wonderful memorial and swimming facility for future generations. 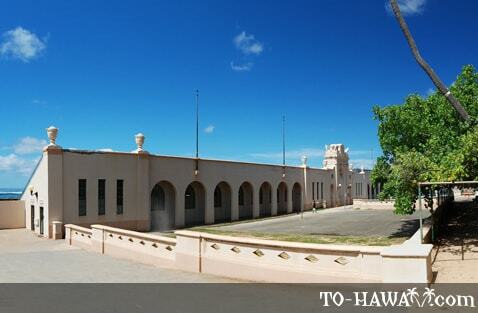 I discovered the nostalgic Hawaiian War Memorial Natatorium on my first trip to Hawaii in 1995 and have visited it on every subsequent trip. I was relieved to find out the triple-arch entry facade is being saved, even though the last time I spoke with someone there, I was told the derelict-condition pool and seating areas would probably be demolished some day. 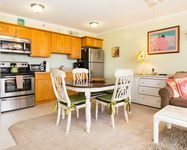 Look through the archways while using your imagination and you can see and hear the Hawaiian swimmers and their fans on a bright, sunny day. Be prepared for the pigeon brigade looking for food scraps in the parking lot!